Local. Long Distance. Moving. Storage. Click here to learn about our story. GET RID OF PESKY BEDBUGS AS SOON AS POSSIBLE. WE’LL BOX UP YOUR STUFF FOR YOU. MAKE THE MOVE IN ONE SIMPLE TRIP. WE’LL TIDY UP BEFORE OR AFTER YOUR MOVE. We can pack up your entire home, from home décor to clothes to tools. Let us tidy up after you vacate your old place or before you move in somewhere new. We use a third party service to provide detailed bed bug fumigation to kill off current bugs and prevent more from coming back. We’ll pack your stuff in our trucks and move you wherever you need. 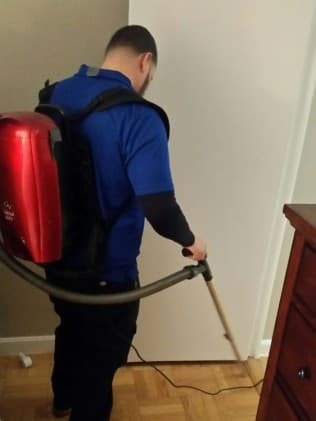 Choose IPS to handle your move from start to finish, or hire our professional team to get your bed bugs out of your home for good. For more information on any of our packing and moving services in the Queens, NY area, call 800-404-0445 today. Are you ready to make a move? 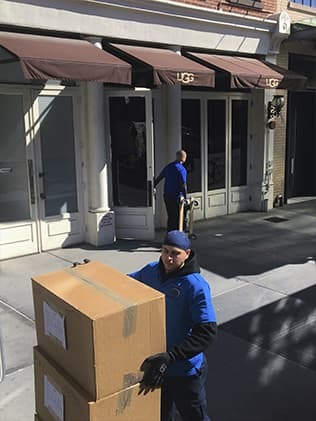 Call today to schedule our residential or commercial packing services in NYC. Even the most experienced movers have a hard time settling and organizing in their new space. Let IPS help you settle in at your own pace with free storage. With every purchase of 2 months of storage at one of our Astoria, New York units, you get 15-30 days of free storage! Questions? 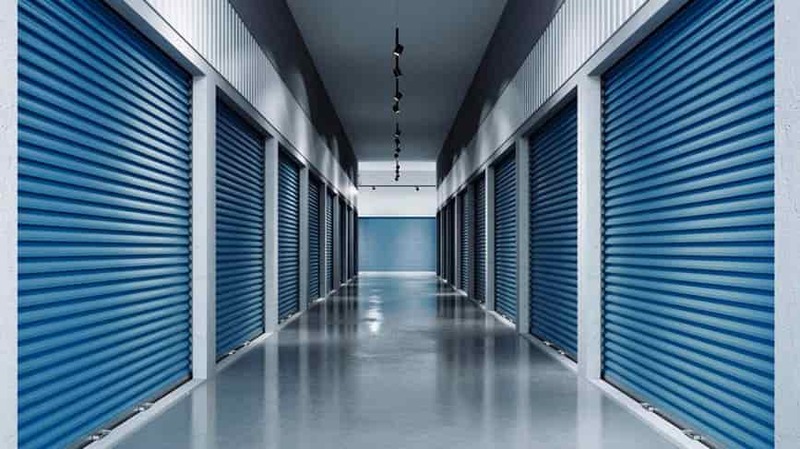 Call IPS NYC Movers at 800-404-0445 to learn more about our free storage and moving services in Queens, NY, the Tri-State area, and surrounding borders. Moving day is rapidly approaching and you realize: I’m in over my head. There’s just too much to pack, you don’t know where to begin or really even how to pack it efficiently. On top of it all, you have no idea how you’re going to get it all to the new place. Does this sound familiar? We feel for you — in fact, that’s why IPS NYC Movers exists — to fill that void in customers’ lives. We think you’ll see that we’re not just any moving company, we’re movers who go above and beyond what you’ve come to expect from moving companies. 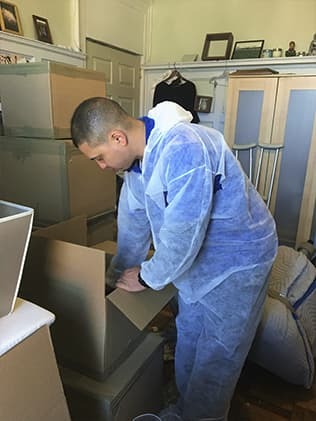 We offer a peerless packaging service, bed bug remediation, we’ll clean for you, and of course, we move you and your things. Our most obvious service is moving you and your items from your old place to your new one! We have a fleet of trucks of all sizes to meet all of your needs and demands. We can also drive you across state lines. This can be a really wise choice for you. Before you drive yourself out of state for a move, you must ask yourself if you’re ready for the task. 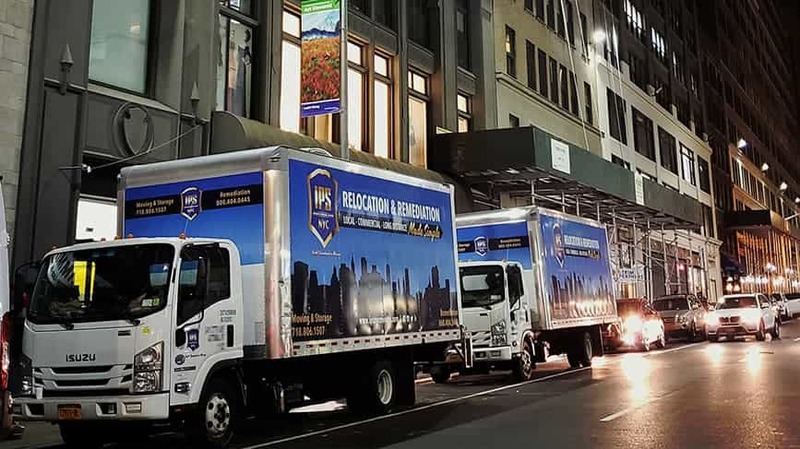 Movers such as IPS NYC Movers know how to optimize routes for the least amount of distance, while at the same time, avoiding unnecessary traffic jams. So, please keep all of these things in mind when choosing your next moving company, and we hope you’ll go with IPS NYC Movers! Why Choose IPS NYC Movers? We here at IPS NYC Movers have mastered the art of packaging for both efficiency and security during travel. We train our Queens movers to hand pick only the best packing materials so that your belongings stay as safe as we’d want our own to stay. When you ask us to pack your items for you, we’ll then speak to you about what packing method(s) you wish us to employ, if any. We’ll then ask about any priceless items you might need us to pack to which you want us to pay special attention. Some people find this service surprising, but we will also clean for you. With everything else going on at the end of a house sale and during moving time, sometimes cleaning up completely can be an overwhelming task — literally! We can come through for you there! Let us know and we’ll help you. In many cases, actually, it’s required of you to present your outgoing home or apartment clean. Of course, nobody wishes to move into a dirty place, either, so if you’ve just bought a place that’s filthy, calls you’re NYC movers, IPS. Even if it’s not exactly required of you to clean your house or apartment you’re moving out of, it’s definitely courteous and considerate, so if you’re not going to do it, have us take care of it. If you have moved at all in the past I’m sure you can understand how stressful it can be. Excited to get into a new place but at the same time you need to make sure all of your belongings are taken care of properly. My wife and I planned the move the best we could but we knew we’d need a professional company to really get us going. We reached out to Luis from IPS and they were outstanding. We had a cross town move here on Long Island. Yes it was only cross town but it was my Wife and I, plus 2 kids and a dog! Apparently we have a lot of “things” and IPS took care of every one of them. Everything was well packaged, organized, disassembled (if need), then reassembled at our new home. Luis and Jose were both onsite and they had a great crew of movers to go along with them. They moved us in about a month ago (Sept 2018) so once we got settled in I wanted to be sure to write a great review of our experience. This is really one of those instances where I could say I don’t know what I would’ve done without them. Thank you IPS! My experience with IPS was excellent. Luis and Jose helped me move; both very friendly, professional, and fast. Their rate was significantly cheaper than other local moving companies that I called. Luis made sure that I was taken care of from start to end, despite a minor issue with scheduling. Thank you! Luis Hidalgo is that rare professional in the industry who does not have dollar signs where a heart and brain should be. He patiently made himself available on numerous occasions to answer my questions and hold my hand during my bedbug ordeal. Even when, at the eleventh hour necessity forced me to decide on a heat treatment that did not involve the type of preparation he offers, he did not abandon me. He is honest, compassionate and kind, and I am certain that I will use him for any moving needs that I might have in the future. Fast, efficient, and great customer service. They loaded up our 3 bedroom house and had us moved across town and then unloaded within 6 hours. Everything was boxed up and relocated proffesionaly.